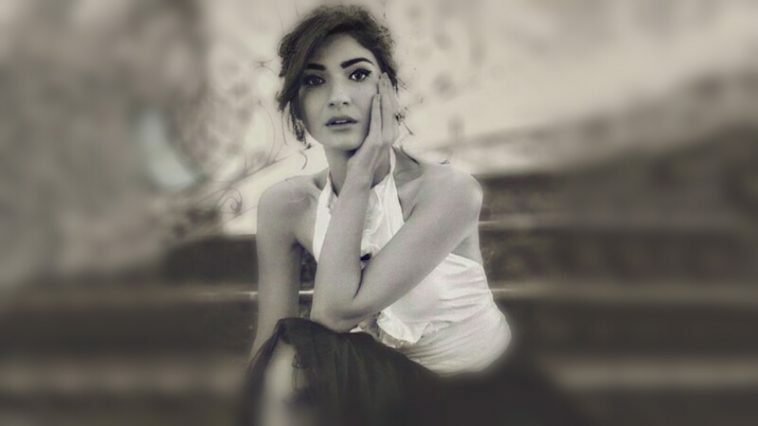 Those who have been closely following Pakistani music and film tabloids may have noticed a fresh face that’s about to make her mark on the showbiz arena with her multiple projects in pipeline. We are talking about the beauty with brain Kiran Malik who was recently seen in Farhan Saeed’s latest music video “Maula” and has already bagged lead role in Shaan Shahid’s much anticipated film Zarrar and now she is all set to make her big screen debut with Pinky Memsaab. We caught up with Kiran to have an insight to her character in Pinky Memsaab and her other upcoming projects. Here are some excerpts from her conversation with our editor Azadar Kazmi. Zaraar was announced as your debut film but Pinky Memsaab is releasing first. How you feel about it? Tell us something about your role in this film? What you liked the most about your character “Mehr” in this film? And how different is “Mehr” from the character you have played in Zaraar? How has been your experience with this entirely new team of Pinky Memsaab? Lastly, what should people expect from Pinky Memsaab? Pinky Memsaab is releasing in cinemas across UAE on 6th Dec and across Pakistan on 7th Dec. Here we at Pakistanicinema.net wish all the best to Kiran Malik and the team behind this film for its success.